Abstract is an effortless choice for day or evening events. 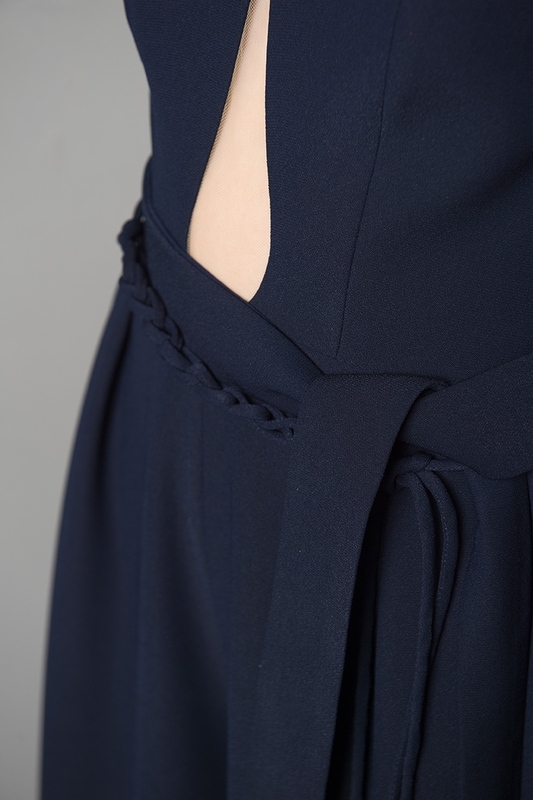 Cut from crepe material, it has tulle cutout detailing in front and handmade braided belt for accent. 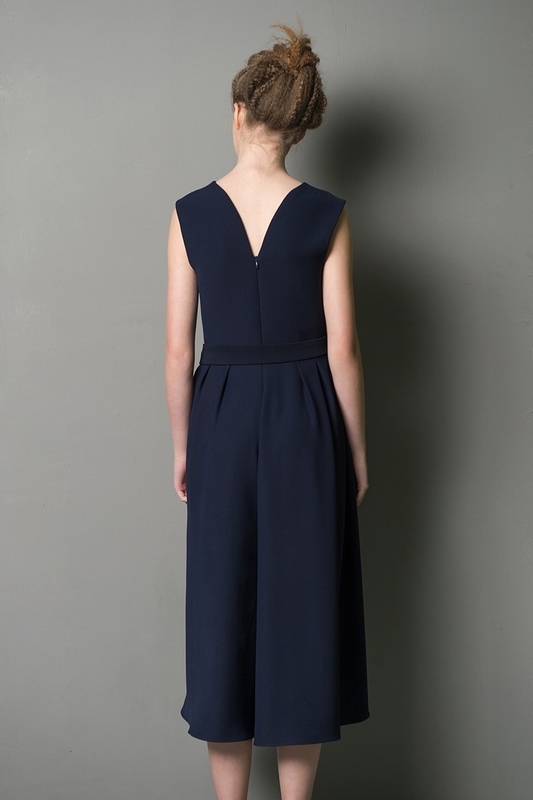 The jumpsuit has wide leg silhouette that is flattering and comfortable to wear.